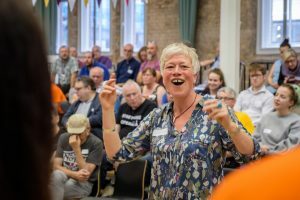 We run trips to museums and galleries, offer courses in poetry and creative writing, art, photography, film-making, drama, music and singing as well as participating in high profile arts events and festivals such as the Manchester International Festival. Creativity and self-expression is fun but it also helps people explore their emotions, face difficult past events and imagine a better future. 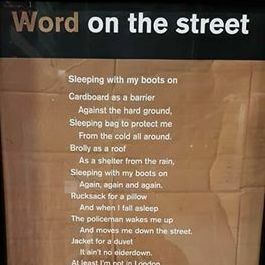 This winter poems written by Back on Track service users were displayed at tram stops all over Manchester, as part of a campaign to raise awareness of the homelessness problem in Manchester. This one, Sleeping With My Boots On, is by Lawrence, who has been homeless himself. The campaign was a partnership between Back on Track, Street Support and Transport for General Manchester. Back on Track were a partner in the Manchester Street Poem project, which was part of Manchester International Festival 2017. The work was created by Karl Hyde and Rick Smith of Underworld, and was based on interviews with people who been homeless. 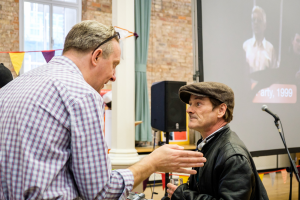 Several of our service users shared their story, and you can still read the individual contributions in full on the Manchester Street Poem website. In 2017 Tony ‘Longfella’ Walsh ran a six week poetry course at Back on Track. 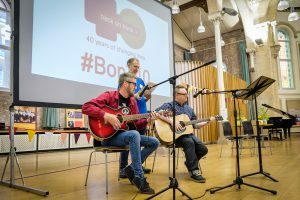 The project produced some outstanding work and it culminated in a group performance at our 40th anniversary event – one of the highlights of the day. Tony and the group created a work to mark our anniversary. Danny and Shane met in our singing group in 2017, and have been writing and recording music together since. They performed their Back on Track tribute song at our 40th anniversary event! They have now formed a group, the Budoka Sound – look out for new music from them in 2018. To celebrate our 40th anniversary, we created the Back on Track choir – a singing group featuring service users, volunteers and staff. 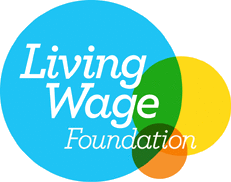 Led by Faith Watson, the project culminated in a performance at our anniversary event in July 2017. We ran a two year project that saw people look into the history of Ancoats, by using resources like local archives. They made a series of videos on local institutions like the Band on the Wall music venue, which is opposite our centre on Swan Street. 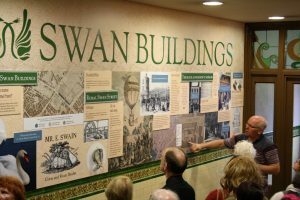 The project culminated in the group creating a detailed display about the history of our own building, which has been through many changes in its 115 year history. The display is now a permanent legacy of the project and is enjoyed by visitors to the building every day. In late 2016 a group of our service users turned their hands to acting. They worked with an organisation called Acting on Impulse – which gives homeless and marginalised people a voice – to make this short feature. We were part of the Cities of Hope festival of street art in 2016, which saw new installations spring up all over the Northern Quarter district of Manchester. A new mural was created on the wall of our Swan Street centre, which still attracts visitors today. 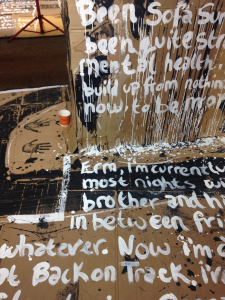 It was the creation of the German artist Case, who was inspired after he visited Back on Track and learned about our work supporting people with mental health problems. It represents a person pausing for respite in a place of calm. The figure in the mural is based on one of our service users, who modelled for the sketch holding a broom from our cleaning cupboard!